What is the best way to ace your teenager’s final exams? This is a timely question as millions of high school students are getting ready to take their final exams. You might assume that reading textbooks and notes over and over again is the best way to study, but researchers from Purdue and Washington University insist that it’s not the best approach. You should practice retrieving as much information as you can from memory just as you would have to do on test day. You can do this by writing down what you absorbed — without consulting your notes or book — or you can review what you know out loud. And you should do this several times. Even if you think you know it, the research shows retrieving it about three or four more times can achieve big gains in learning. “When you’ve got your chemistry book in front of you, everything’s right there on the page, it’s all very familiar and fluent,” says Jeffrey D. Karpicke, an assistant professor of psychology at Purdue University and lead author of a paper in the May issue of Memory about students’ faulty intuitions about effective study habits. To learn more, here is a press release from the Purdue study about the research on performing better on tests and here is the final exam article from The Chronicle. Who ever thought that hitting the books might not always be the best strategy to acing your finals? 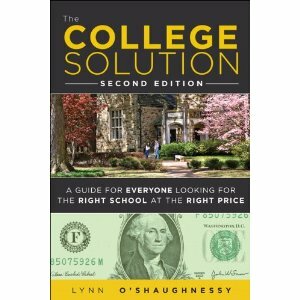 Lynn O’Shaughnessy is the author of the second edition of The College Solution, which was just released this month.